You all asked for it, we did it: you can now manage user accounts, organise them in groups on your project, independently. manager.finalcad.com brings you more autonomy, you have instant access to these settings, whatever your time zone and your needs. Autonomy, welcome! 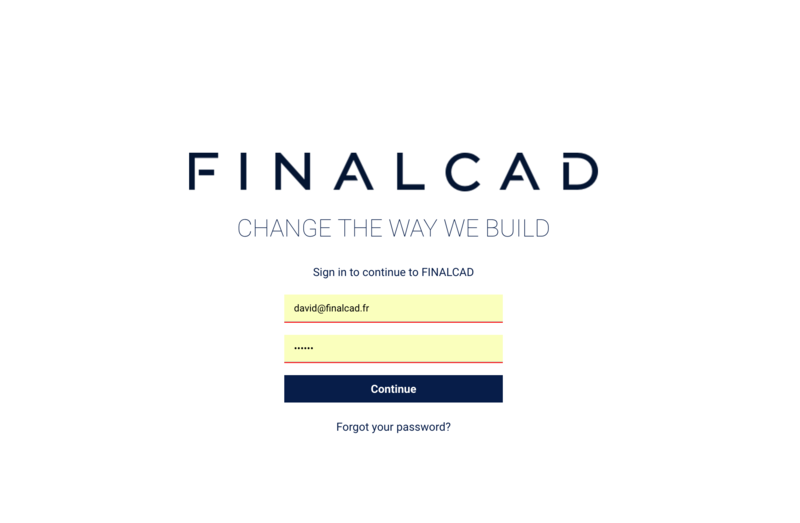 You can sign in by using the email address that you entered to create your FINALCAD account and the password you use to sign in to your various projects.